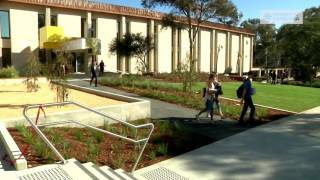 Looking for admission in University of Canberra?. AbroStudy will help you. Tuition fees in University of Canberra and accommodation of foreign students in Australian universities. How to get admission in University of Canberra ? University of Canberra ranking. Education changes lives; its transformative power can turn weaknesses into strengths and create endless opportunities. But the transformation doesn’t stop there. Many UC staff and students are using their education to improve the lives of others – that’s the power of education at UC. We want to share a few stories of how our alumni and staff are contributing to building just, prosperous and sustainable communities and making a difference to the world around them. After reading about what they’ve achieved, we’re sure you’ll feel as proud as we do. To provide education which offers high quality transformative experiences to everyone suitably qualified, whatever their stage of life and irrespective of their origins. To engage in research and creative practice which are of high quality and aim to make an early and important difference to the world around us. To contribute, through our education and research, to the building of just, prosperous and sustainable communities which are respectful of their Indigenous past and committed to redressing disadvantage. Everything else – buildings, campuses, structures, titles, hierarchies, pomp, circumstance, (even committees) – may change over time if that is what is required to carry out our purposes. By 2018, when we will celebrate the 50th anniversary of our establishment as Australia’s first College of Advanced Education, UC will be recognised as one of Australia’s most innovative tertiary institutions; world-ranked, with regional, national and international reach. We will be a leading member of a large education network of tertiary partners in Australia. UC’s programs will be distinctive in supporting education for all stages of life, with an emphasis on work-integrated learning and preparing people for successful and adaptive careers in the professions and emerging professions. Our research will be of high quality and highly cited, focusing on discoveries and applications which lead to early improvements in the changing world around us. Our graduates will possess the discipline knowledge, professional skills, intercultural competence and personal attributes to become leaders who will inspire and deliver a sustainable future in a digital age. Our employees will share in the growth and success of the institution, through the distribution or accumulation of some of our annual surpluses once a sufficient margin has been earned to provide for the renewal and security of the University. At least 16,500 full-time equivalent students will be directly enrolled in UC degree programs, an increase of 46% since the end of 2012. Students will want to study with us because of the University’s reputation and the value attached to our degree testamur, as well as the quality and relevance of our courses. We will appear in at least one of the world-rankings of young universities, due in part to a significant increase in our research quality and output during the period of the plan and improvement in our reputation for teaching. At least 30% of our revenues will come from sources other than tuition. At least 50% of our operating revenues will be from non-government sources. The UC Group as a whole will have been in true operating surplus for the previous 5 years, and by 2018 will be able to maintain an average underlying operating surplus of at least 5%. We will have moved our indicative credit rating from A/Stable at the end of 2012 to AA/Stable, so that by 2018 we will be in a position to make significant investments for our long-term future. We will have achieved all this through the successful completion of three objectives. *Photo takes from University of Canberra pages in social networks. Please contact us if you think this photo can't be here without your agreement.